This was one of my favorite projects of 2018. 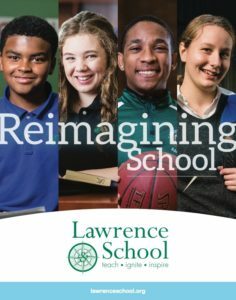 I had the privilege of creating a new admissions viewbook for Lawrence School, a K-12 school in the Cleveland area for kids with learning differences. From the shockingly small class sizes to the innovative teaching techniques, it’s a school unlike any I’ve ever seen. I was moved to tears by the stories that students and parents shared about their school experiences both before and after arriving at Lawrence. As an added bonus, I got to collaborate with my dear friends at Pixelate Photography and Design for this project. See the PDF.